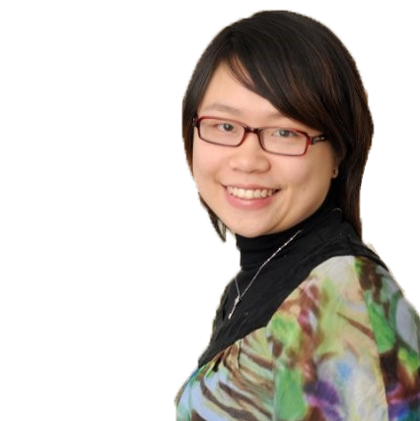 Queenie Chow graduated from the Bachelor of Commerce (majoring in Actuarial Science) in 2012. Now, she travels the world, working as a consultant and actuary, documenting her adventures on her blog. We caught up with Queenie for a Q&A, to find out about her experiences, and how her time at the University of Melbourne set her course. Tell us a little bit about your time at the University of Melbourne, what was your experience like as a student? For me, university is a place that gives students the opportunity to try out everything and fail fast, without suffering any great consequences. As a strong believer that every accomplishment starts with the decision to try, my experience as a student involved a lot of volunteering. I was honoured to be part of the Student Ambassador Leadership Program (SALP), student legal aid, the Duke of Edinburgh Awards program, the Actuarial Students' Society, Student Orientation Days and other student society activities. I also took the opportunity to try a variety of clubs, everything from practising Spanish to learning crazy magic tricks! Experience as a student in university is the perfect opportunity for one to practise following an “off-the-beaten” track (i.e. not following exactly the same routine as everyone else in your classroom) philosophy, that you can transfer into the work that you do as a graduate! Your work as an actuary has taken you around the world, to destinations including Africa and the Philippines, how did this come about? As Mark Zuckerburg once said: “the biggest risk is not taking any risk… in a world that is changing really quickly, the only strategy that is guaranteed to fail is not taking risks.” My actuarial career started in the corporate space. However, my experience of becoming an “actuary without borders” really started when I decided to take a short career break to do some pro-bono consulting in Togo, West Africa. This opportunity came about when I reached out to a senior actuary (also the Executive Director of the Actuaries Without Border network) – someone whom I had never met in person and had only read about. So, never be afraid to be bold and ask for help, you will be surprised at how willing senior personnel are to help. My experience in Togo opened up new doors to the boundless world of micro-insurance in managing risk for the underserved. Since then, I have had the valuable opportunity to apply my actuarial expertise in developing insurance solutions for low-income markets, supporting innovation projects across the globe. I cannot describe the fulfillment and reward one receives working as an actuary in global development! Do you think there are pathways for actuaries that current students might not be aware of? Exactly the career pathway that I am taking: actuaries working in inclusive insurance! There aren’t any official statistics, but my best estimate is that there are less than 50 qualified actuaries working in this sector across the globe. For those familiar with the actuarial career pathway, nine out of ten actuarial students or recent graduates will mention their “passion” for exams. Whilst exams are certainly great training for your independent thinking and professional learning, this is not all there is to the profession. In the workplace, work experience, interpersonal, communications and networking skills are much more valuable. Actuaries are ultimately not a calculator, we are professionals who can project into the future by exercising our judgment skills. All roads lead to Rome, don’t be fixated on just one career pathway. Everyone is unique, and as a result different opportunities arise. You keep a blog and occasionally write in actuarial publications, what inspired you to start writing about an actuary’s life abroad? Initially it was through personal contacts that invited me to write in a community magazine as I was travelling to West Africa. As time progressed, I found that this was a great way to articulate the lessons and experience I gained from travels and interesting work projects. From a professional perspective, I found that writing down my learnings formed an important part of knowledge sharing in the industry. This is particularly important in inclusive insurance, an area of work where experience is still young and yet to mature. What advice would you give to students studying Actuarial Science? The best advice I ever got: dream big, work hard and stay humble! Never stop challenging yourself, nor stop learning. As an actuary, I am sure the moment when one receives their actuarial accreditation is always special and memorable (particularly after so many exams). My favourite though, is when I picked up my very first consulting client. Working as an independent consultant is a very different experience to being employed in a corporate team. Getting that first client/contract on your own is a demonstration of the value which your work and professional advice brings to a project! I am starting my own social enterprise back home! Whilst continuing to consult in the inclusive insurance space, I am starting a tea business importing Kenyan tea to Australia. In this social enterprise, we are protecting small-scale farmers by providing weather risk insurance. So watch out for some new tea innovations in Australia!